We explain why today’s community-based boards are not ideal IoT platforms and why developers require richer systems to effectively achieve scale. 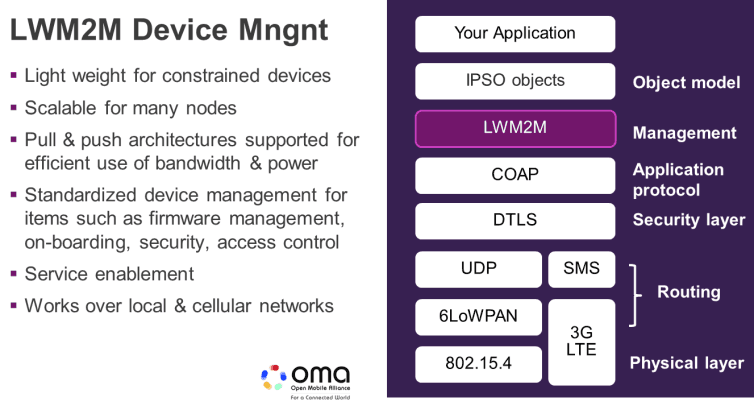 As anyone delving into the world of IoT can attest, finding a scalable, open-source, IoT framework that reliably and securely connects your devices to the cloud, while fitting your business needs rather than dictating them, is more challenging than one might expect. Today, many community-based development boards are capable of hooking up to various cloud systems in a one-to-one manner. However, on closer inspection many of those boards often lack security or a software framework that offers the ability to scale in a cost-effective manner; that is, to work with many devices and not cause bandwidth costs to get out of control. Nor do these basic boards typically offer solutions that apply device management (control plane) on top of the data-stream. Many community boards, such as RaspberryPi, and Beaglebone among others, are often associated with the buzzword ‘IoT’, but offer little in the way of built-in IoT radios or security. Yes, they’re cheap and on the face of it, these boards make IoT seem like it should be a breeze. However, when you move beyond just sending a few bytes of temperature data or turning on and off your Christmas tree lights and start looking to develop a more serious IoT system, the cupboard is often found to be a little bare. The community boards certainly have their place and are very useful, but is their primary use realistically going to be building the industrial and business IoT platforms of the future? How does such a board prevent itself being part of another DoS attack, how does it bridge multiple wireless standards and what framework comes with it that would enable scaling without costs getting out of control? An IoT system for business must be scalable, must operate in a secure environment and come complete with an open-source framework that supports device management and interoperability. , So where do you look find such a development system? Meet the Creator IoT-in-a-box development platform. This offers hardware and software that deliver a complete end-to-end open-source IoT framework, designed to fit the needs of businesses that are to looking integrate IoT solutions, right off-the-shelf. The Creator Ci40 IoT-in-a-box developer kit and open-source IoT framework offer a platform for developers who are looking to scale. 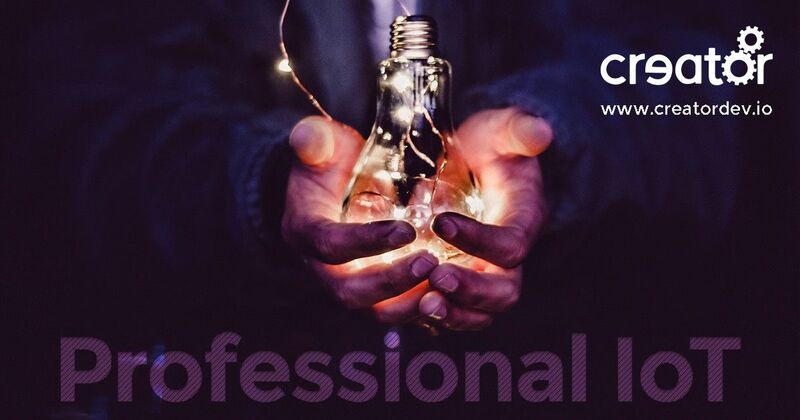 A platform for developers who need to be able to control, monitor and manage many devices 24/7, where terms such as ‘predictive maintenance’ and ‘efficiency’ are bywords of the industry. If you’re looking for a development kit that is less about ‘hack’ and more about developing a professional level solution with a full IoT ‘product life cycle’, this could be the IoT development kit for you. 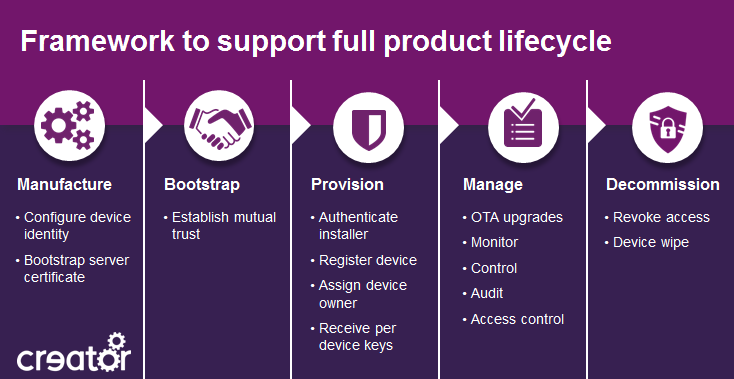 Beyond simply connecting a single device to a phone; businesses, organisations and enterprises need a way to be able to securely deploy and scale IoT hardware and have that hardware interoperate with other existing equipment, both old and new. 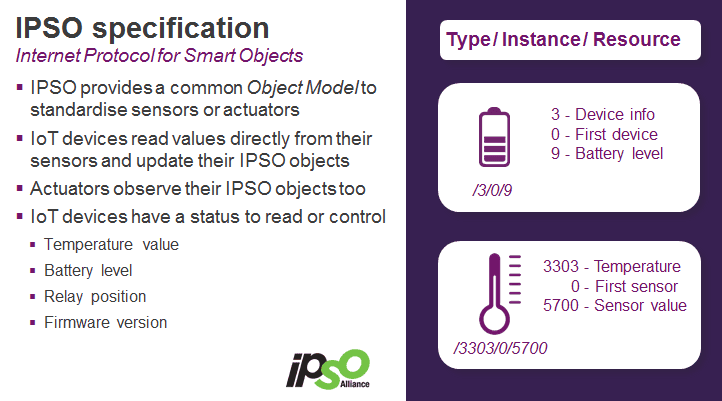 To meet the demands of such a system, the Creator Ci40 IoT-in-a-box hardware comes with an open-source IoT framework based on the Open Mobile Alliance LWM2M standard for device management and achieves interoperability with other IoT devices via the IPSO alliance object framework. Generally, businesses don’t like be locked into proprietary, costly solutions that age quickly and that could take the business down a one-way cul-de-sac. Hence it’s important to look for an IoT solution for your business that is based on open standards. Open-standards that enable the business to contribute, collaborate, partner or quickly and easily find help in the community, if required – essentially to control its own destiny. This is exactly what you will get with the Creator Ci40 IoT kit and Creator IoT Framework, which are open-source and freely available and on Github today. The Creator Ci40 IoT-in-a-box offers developers the opportunity to experiment with and implement a secure environment that is right for your platform, via the use of a dedicated on-board Infineon TPM device. The board also offers multiple radio standards such as Wi-Fi, Bluetooth, 802.15.4 with radios soldered directly down onto a single platform. And if those aren’t the radio standards you require, the Creator Ci40 IoT hub (main boards in the IoT kit) also has additional expansion ports for adding other radio standards. For example, you might be interested in something like Lora, so you can buy existing off-the-shelf modules from third parties and plug these straight into the Ci40 board. The kit is based on an IoT hub and features a dual-core, multi-threaded, MIPS interAptiv CPU clocked at 550MHz. This is capable of running Linux and edge devices based on microchip PIC32MX MIPS MCUs clocked at up to 80MHz. To find out more about the benefits of multi-threading for IoT, check out this blog article on getting more work per cycle and lowering power consumption. To find out more about the Creator Ci40 IoT-in-a-box development kits and open source Creator IoT framework check out www.creatordev.io.